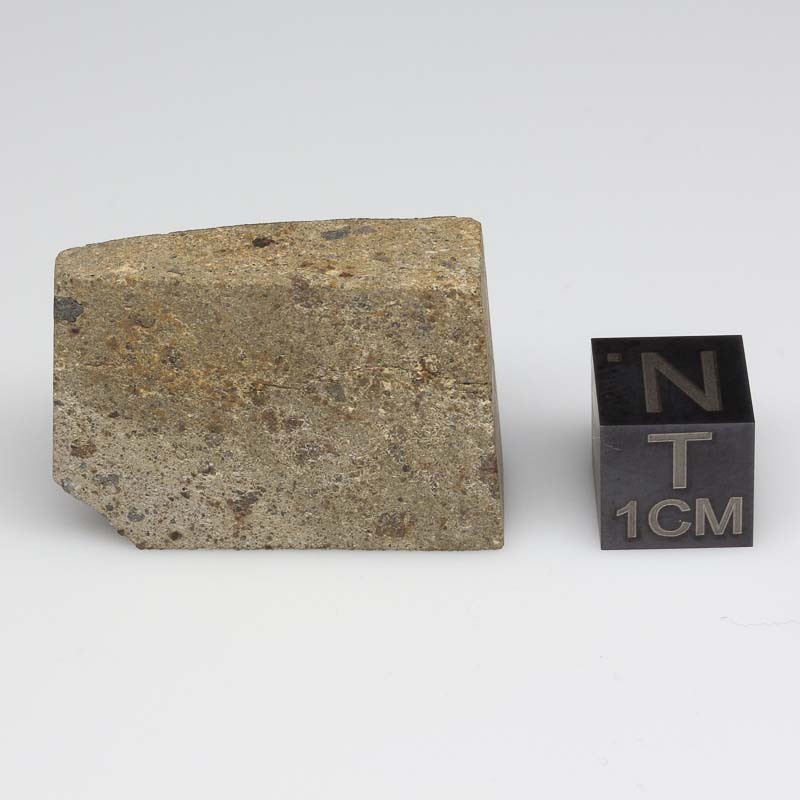 NWA 1109 Meteorite For Sale 9.0g 1109-31 - The Meteorite Exchange, Inc.
Achondrite meteorites are meteorites without the round chondrule structures. Eucrites are one of the many types of achondrites. Thought to form on larger bodies in space where the rocks can differientiate they have more igneous type compositions. 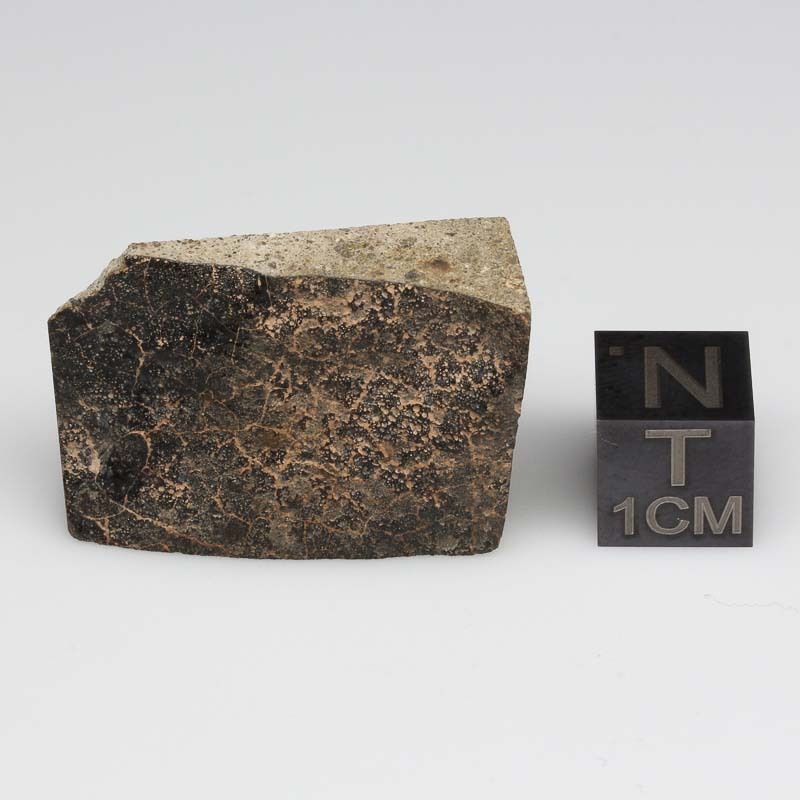 When a meteorite is made up of angular bits of rock it is called a breccia. If it is made of bits from several sources it is called a polymict breccia. This stone is a polymict eucrite breccia. It has not free metal, but is rich in light and dark mineral clasts with a beautiful honey color matrix.